ohn Pawson is an architect and designer whose exceptional work combines an essential simplicity with a keen attention to the details of everyday life and human experience. His pared-down yet luxurious houses and art galleries were his first projects to gain international attention, and his work has since included Calvin Klein's flagship store in New York, airport lounges for Cathay Pacific, and a kitchen for Obumex. In the last decade, the scope of his designs has broadened from objects and interiors to include houses, monasteries, pavilions and boats. This change in scale has given his office the opportunity to refine its minimalist aesthetic and further develop its ideas of a fundamental architecture based on the qualities of space, proportion, light and materials. Frequently these projects intervene in existing conditions to create spaces that are simultaneously simple and complex, timeless and contemporary: in the Novy Dvur Monastery in the Czech Republic, elements of the original baroque complex are combined with entirely new architecture to create a mysterious and beautiful sequence of spaces, and in the Baron House in Sweden the vernacular language of the area is refined and abstracted to create a truly modern home. In Plain Space, author Alison Morris presents both this recent body of work and earlier projects from the perspective of someone who has had unique access to the work and archives of the office. In thematic essays and narrative project descriptions she examines the firm's working processes, relationship with clients, and approach to design. These insights into how Pawson and his office approach all different kinds of projects, including a cricket pavilion, a ballet stage set, apartment and boat interiors, will be of interest to architects, students, and anyone looking to simplify and beautify their own living space. 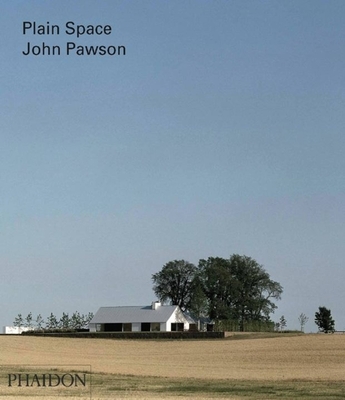 Filled with exquisite photographs and detailed drawings, Plain Space will be the next must-have book for fans of John Pawson and a perfect introduction to his work for anyone interested in the absolute best of contemporary design.